The best things to help birds is to stop using pesticides, keep cats inside, and use decals or ribbons attached to your larger windows or glass doors that will move in the breeze. 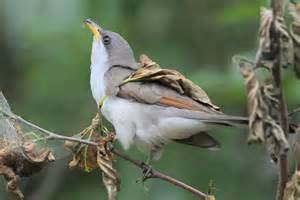 The migratory western Yellow-billed Cuckoo now listed as an endangered species, which automatically protects it under the Migratory Bird Act. This new designation takes effect on November 3, the biggest factor being habitat change. 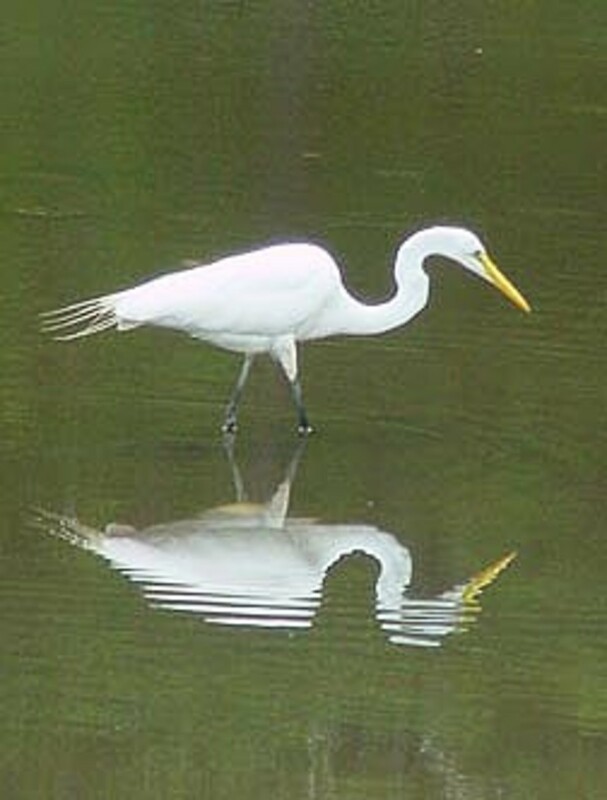 Japan has many wonderful birds, too, but not the same ones that we do. There are a few that we share during different seasons, but for the most part, these are birds that we’ll never see unless we go there. Meet a few of the birds of Japan. Don’t give up the ghost of summer yet, my friends, for she still lingers in the air. Mornings may be a little cooler and nights a little longer, but there is plenty to look forward to with gusto. The pumpkins are still on the vine, first frost will bring plenty and the harvest will be great in our neck of the country. We’ll be baking pumpkin pie and cookies, along with gingerbread, and beating good, sweet heavy cream for those lusty dinner toppings. We may no longer have to stoke the woodstove that was replaced decades ago, but no matter what warms the house now, this is the same time of year where we give thanks, join with family and friends, and are thankful for the bounty that we have. 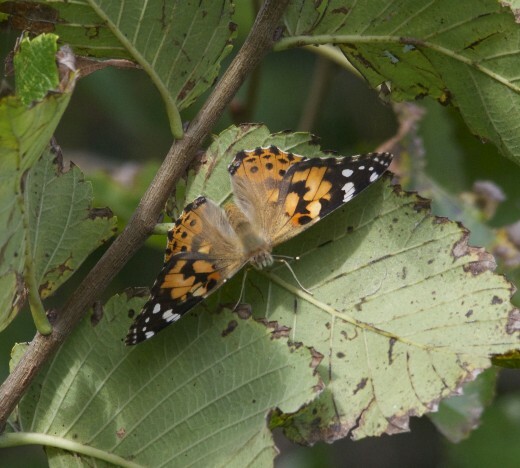 Soon, we’ll be saying goodbye to the butterflies that have graced our fields and trees with the beauty of their presence. Their slow, undulating flight might be replaced with a few snowflakes in the not-too-distant future, but we can hold on for a while. We’re still seeing those robust orange and sometimes red sunrises that still indicate warm air, and no ring around the moon yet in the deep of night. Our young songbirds are growing up and looking more like their parents every day, who have already left. The little ones aren’t so little any more, and they are getting ready for their first flights to the south. They’re already getting up later, because their body clocks are in sync with the rising and setting of the sun, but that night is coming when they will be turning away from magnetic north and making that maiden voyage for themselves. It is an exciting time. I usually see Bewick’s Wren in the dead of winter, but today I was in the right place at the right time in order to capture the lovely countenance of this little soul. I heard the warning calls, got my camera set up, and this was the one chance that I had in order to record this bird today, for posterity. 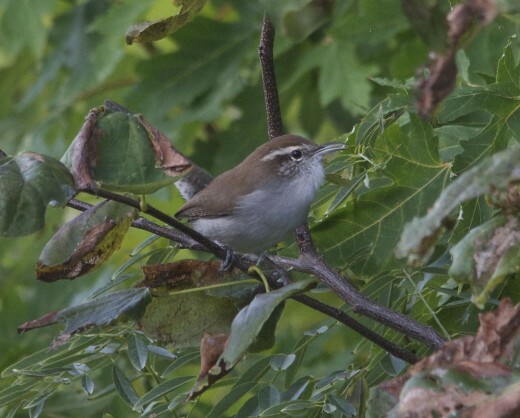 Meet the little Bewick’s Wren, who happens to be scarce in the eastern part of the country. 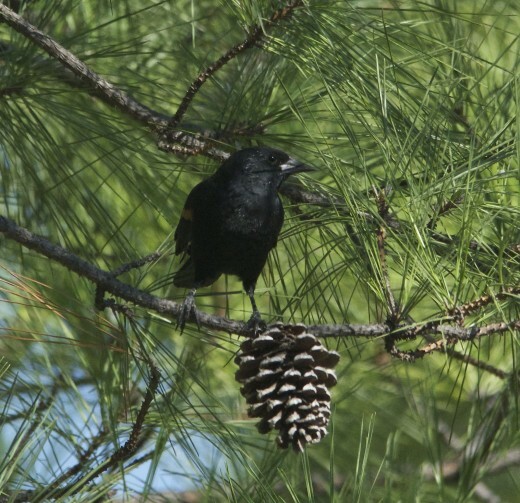 They are attracted to dense thickets, gardens, and will often stay in a nest box if you have the forethought to have one or two on your property. They also favor moister woodland and swamp locales, and will often be found near semi-wooded lakes. 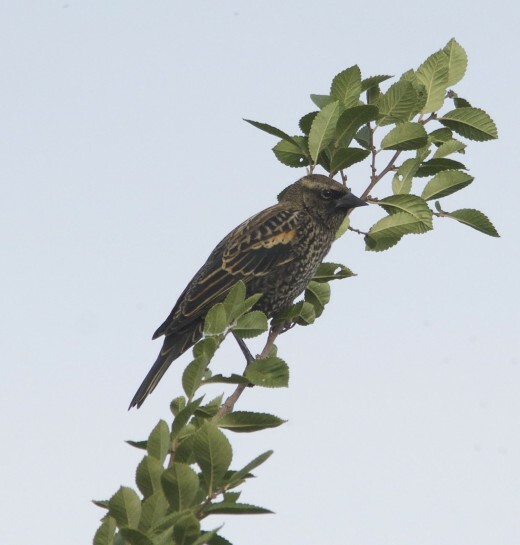 My eastern variety is red-brown, and you’ll find the western interior birds to be grayer, but as one heads north west, they become much browner and darker. 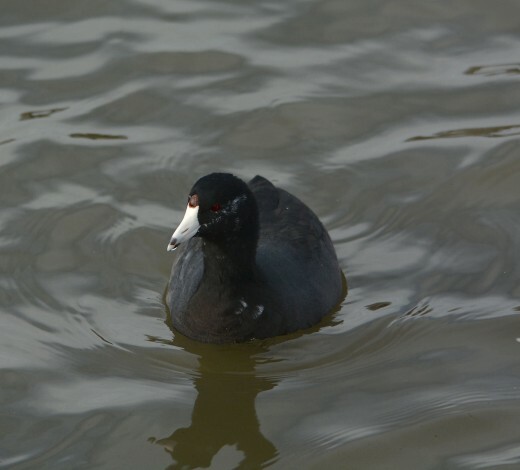 The American Coots are moving back to the area for the cooler seasonal temperatures. They can easily be confused with small ducks, save for the chickenlike bill, smaller head, and head shields. They have a pumping motion as they swim, and are most often found on or near the water. Last but not least, the Blue-winged Teals are slowly moving in, but I didn’t expect to see them this early. These are smaller-sized dabbled ducks, which means that they upend themselves for feeding on the bottom on shallow waters, like the Mallard. 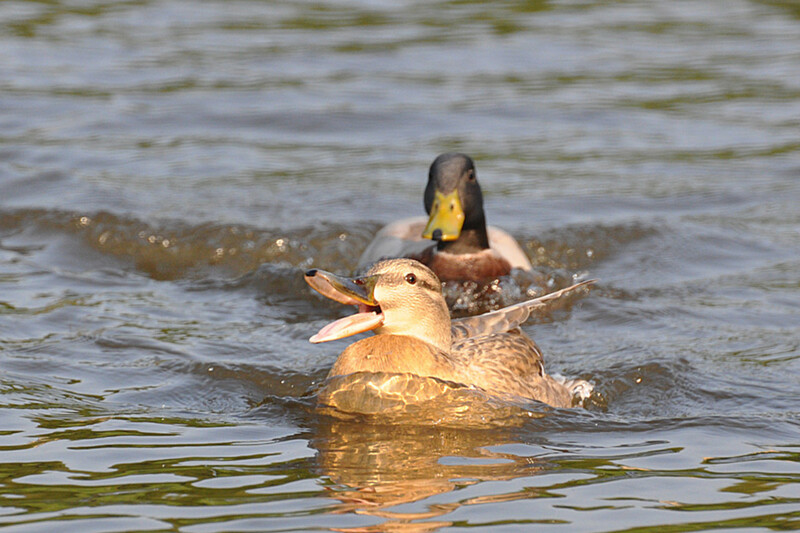 Late in the year, like now, the molting males resemble females, who are brown and mottled, with a dark eye line. The tell-tale blue on the wing helps identify them, and as we come closer to winter, the male will have the white facial crescent and his head will darken. 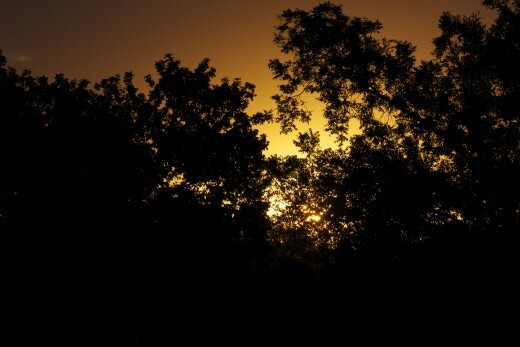 Where Is Boomer Lake Park in Stillwater, Oklahoma? Also, the Northern Shovelers will be coming to town sooner or later, but will likely prefer the quieter habitat of Teal Ridge or Sanborn Lake. sujaya venkatesh, I actually am finishing up a degree for that. I should be done with it by end of the summer. techygran, I have been doing a local column in my newspaper, if you want to keep up to speed with things. I just picked up the on-line version of The Oklahoman, the largest newspaper in the state. I will be doing my first article this week, so I hope it passes their standards for publication. Friend me on Facebook for postings, if you'd like. I'm sure that you'll pick up a few items on your own, and definitely, don't hesitate to share. Thanks, Suhail. I would really enjoy seeing that. It would mean so much. If and when I go to visit the country of my origin, which seems a possibility now, I will definitely attempt at making a video of some birds. Thanks, Mary. I'm so glad that you're enjoying the simple things that Boomer Lake has to offer. Thanks for your support, Rolly. Coming from you, that is a great compliment that I hope I can live up to. Well the frost is on the pumpkins here and our winter birds are here for the most part. I have to say your last photo with the reflection of the sunflowers was amazing! Hey, Mel! I have yet to meet the Yellow-Rumped Warbler, but it will happen. We are not stoking the wood stove out here in California just yet, but the arrival of our winter birds signals that fall is officially here. The White Crowned Sparrows have been in the neighborhood now for over a week, and I saw a pair of Yellow-rumped Warblers yesterday. Great hub! Hey, Dave! As time goes on, you'll be getting even MORE unusual sightings. Keep an eye out. Hey, Suhail! Maybe one day you could make a video to share with your countrymen. I think it would be most important . Hi Deb, Re/Barred warbler well done for identifying it. We have had a number of Wrynecks, Orphean warblers and other unusual visitors this summer as you are probably aware. And btw, Deb, I liked that video on the birds of Japan. That video captures birds beautifully and is actually a video, not a slide show. After watching that video, I immediately went for searching for the video about birds of my country of origin haha. Alas, I could only find a slide show. Some will, Suhail, but not of all them. How great to be back with you once again on Boomer lake Deb and as always a wonderful time was had. Here's to so many more and lots of love from Wales. Will wild birds be able to adopt to urban life once their forest habitats shrink to near disappearance? This is the question in my mind. Hey, Dave! You have had some interesting area movement. The Barred Warbler was in Scotland, which is pretty rare. I actually ID'd the bird for a resident. Deb,another fix satisfied with your excellent hub. The geese are moving into the UK from Iceland and Russia but I think the great influx will be in November. 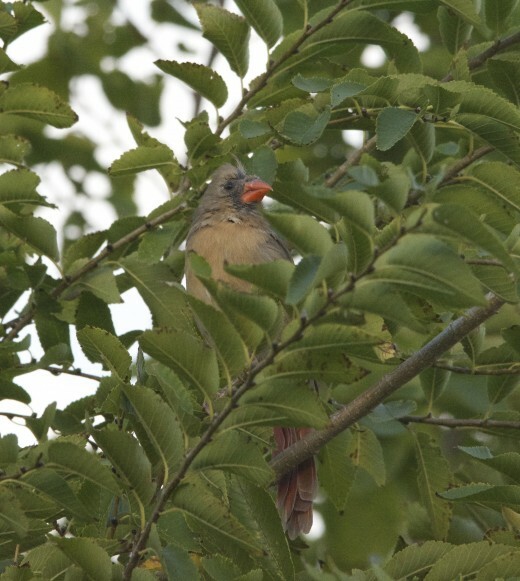 Love the shot of the Northern cardinal. You bet the Japanese birds are familiar! It goes to show the broad spectrum that birds share regarding migration and ambient temperatures, a definite fact relating to global warming. 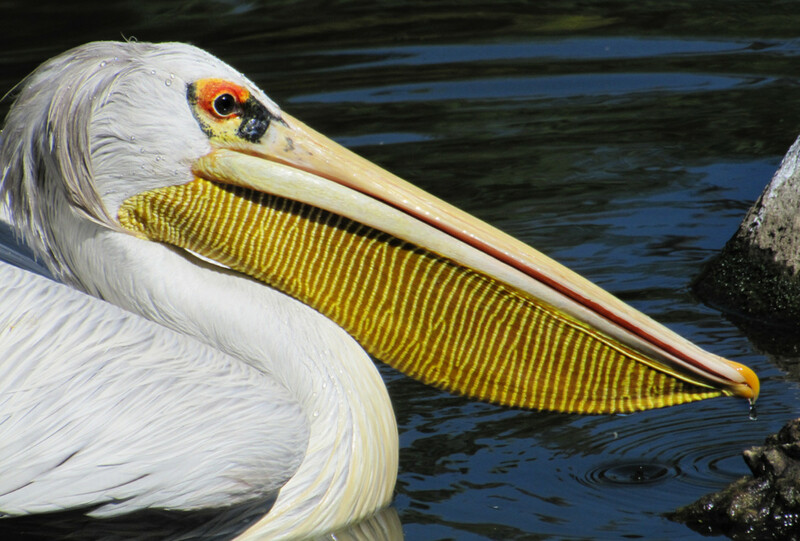 Thanks for the shares and contributing to the well being of our wildlife,Kevin. I looked at the Japanese birds Deb. Neat, I even liked the names. Maybe I am wrong but a few of them looked familiar - both the birds and the names. I voted this up, across (except for funny), shared and G+. Hey, Kim! Nature is such a wonderful place where you can catch such a wonderful respite. It calms, yet invigorates. You paint a cozy picture with your baked goods and warm house. I can imagine being curled up by a window, steaming cup of tea in hand and watching all the beautiful birds you brought to us this week. Another great post, Deb. That was certainly a great sighting, Kevin. I'm sure that you'll see a lot more in that area. Love the photos and info. Watched a bald eagle on the tail of a merganser while kayaking a few days ago. The little guy landed in the river and went under. The eagle finally gave up. Cool to watch from about 30 away. Hey, Alicia! You get to see through my eyes exactly what nature is all about. Thanks for coming along to see magic in motion. Thanks, whonu! The beauty of nature simply astounds me for what it really is. This is a lovely hub, Deb. I enjoyed reading your article and looking at the interesting photographs. Yes thats one thing I miss in the winter, those beautiful butterflys, but there is always something to take its place in the winter too, loved the hub and the photos as always were awesome! Thanks, Sha! That was a fun one. I so look forward to these weekly posts, Deb. They're informative and your photography is exquisite. 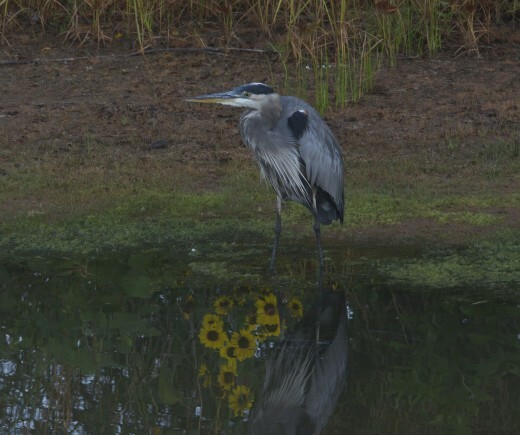 Love the Great Blue Heron with wildflower reflection. Nice shot! Thanks again, Mary, for all the votes. I'm glad that you're enjoying what I photograph and write. 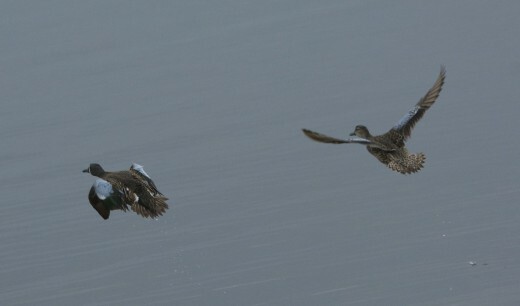 Like the northern shovelers, I prefer a quieter habitat and would love to join them at the Teal Ridge or Sanborn Lake. It's been noisy and crazy busy these past few days in my part of the world. I love seeing the birds captured by your camera. We share a few but some are different here in the east. 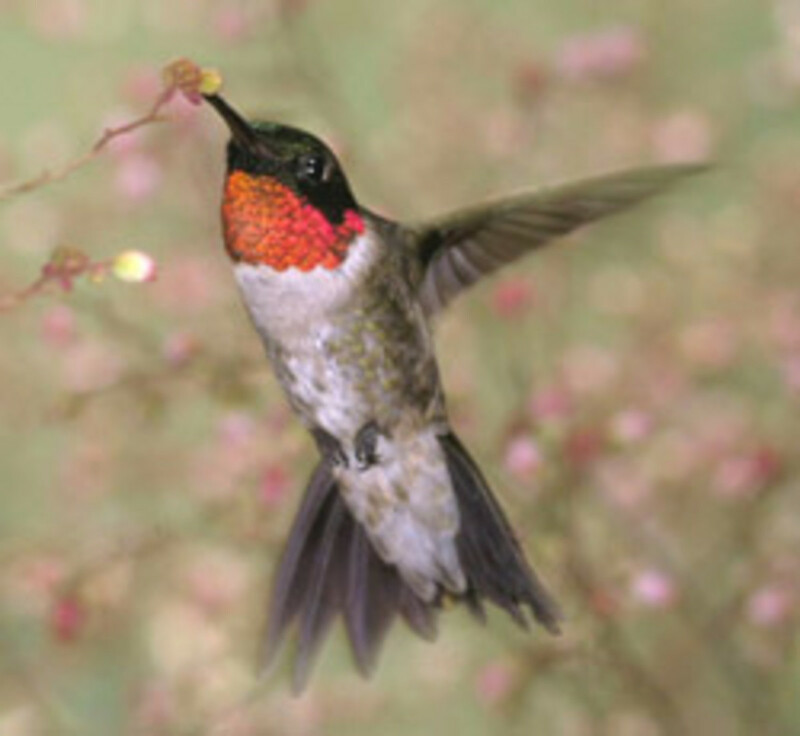 Our hummingbirds have left for their long journey to warmer climate. 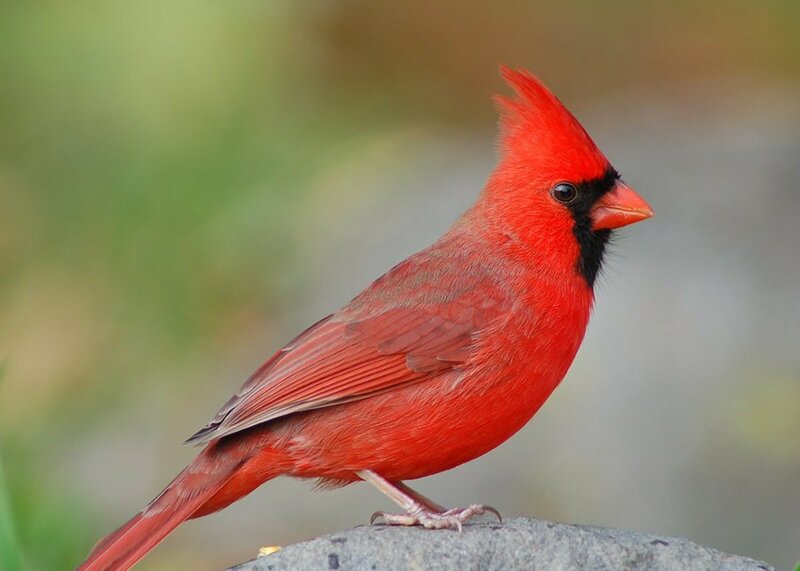 I've noticed cardinals are now year round here. They've been building their nests in my rose bush in the summer. Understood, perspy. My father lived during the Depression, and all he got was sauerkraut. He would not eat it as an adult. Pumpkin soup was the steady diet of our prisoners kept in North Vietnam. I would not be surprised if none of them can stomach any of that particular squash. They are surely thankful to have other choices here at home. Hey, Jackie! He was pretty serious, all right. You're going to like those baffles under feeders. The squirrels can't get around them. We'd better learn! We have no time for that foolishness any more, Billy. 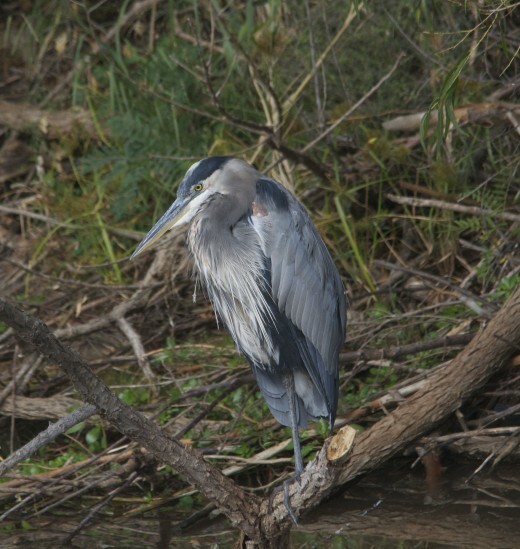 That last blue heron looks like he is packing a gun! lol Always great photos. I look forward to seeing the birds back at my window feeder; which is high and very safe; except from the squirrels but we have the squirrel proof feeders ready to go! It seems like Rachel Carson warned us about pesticides oh, what, fifty years ago. Will we ever learn? Thanks, manatita. Indeed they do! Beautiful as usual. Birds give great beauty and solace to us. Have a great evening.